This has to be a perfect Monday dinner! Tasty, quick and healthy, it’s also vegan so perfect for Meatless Monday! My Lime, Ginger & Sesame Seed Vegetable Stir Fry also has another plus- it’s soya free! The majority of shop bought stir fry sauces and marinades are packed with soya, salt and sugar, compared to this one which uses a few ingredients to deliver great natural flavour. It doesn’t have a heavy sauce which makes it taste light and healthy. Best of all you can really play around with the vegetables used to suit your tastes and what you have in the fridge. I used baby leeks as they were on offer in the supermarket, but spring onions would work perfectly. Likewise, you could replace the Tenderstem broccoli for defrosted frozen broccoli. 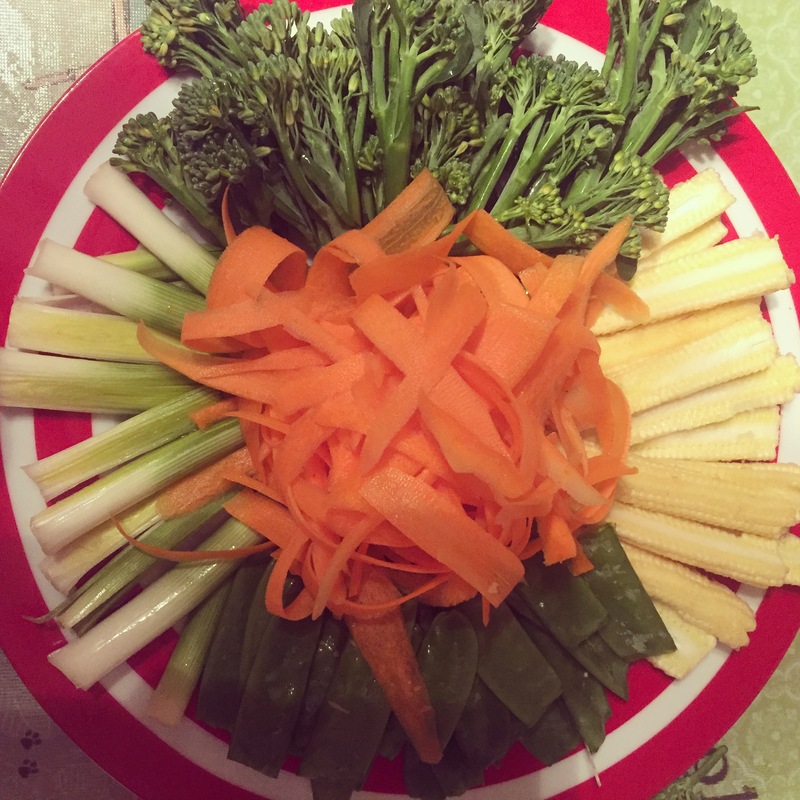 As I mentioned, we had this as a Meatless Monday dinner, however you could always add in leftover meat from a roast dinner or stir fry strips of chicken before you add the vegetables. 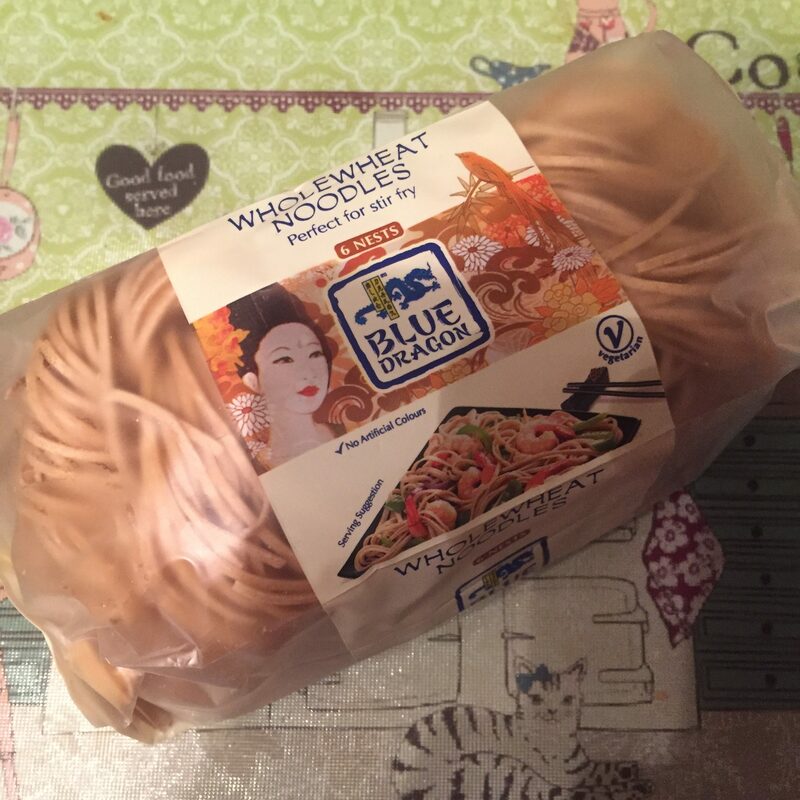 For the noodles I have found Blue Dragon’s Wholewheat noodles to be the best ones as they are egg free. They taste delicious and cook quickly. I never stir the noodles through the vegetables as little one prefers the elements of meals to be kept separately, however you could do to get the flavour through the dish. Fill a large saucepan with water and bring to the boil over a medium heat. In a wok, heat the oil over a medium heat. Add the ginger to the pan, stirring for a couple of minutes. Then add the vegetables, stirring them around the wok to stop them from catching. After a couple of minutes, squeeze in the lime juice and pour in the sesame seeds, garlic granules and onion powder. Whilst the vegetables are cooking pop the wholewheat noodles into the pan of boiling water, return to the boil and then reduce to a simmer. Cook for 3-4 minutes until the noodles are done. Drain the noodles and stir through the vegetables in the wok. Season with black pepper and serve. Sprinkle with extra sesame seeds and drizzle with lime juice. Dairy, egg, nut and soya free. Vegan. Vegetarian.